We are obsessing over everything white this season and this fierce bodysuit is everything we are loving. 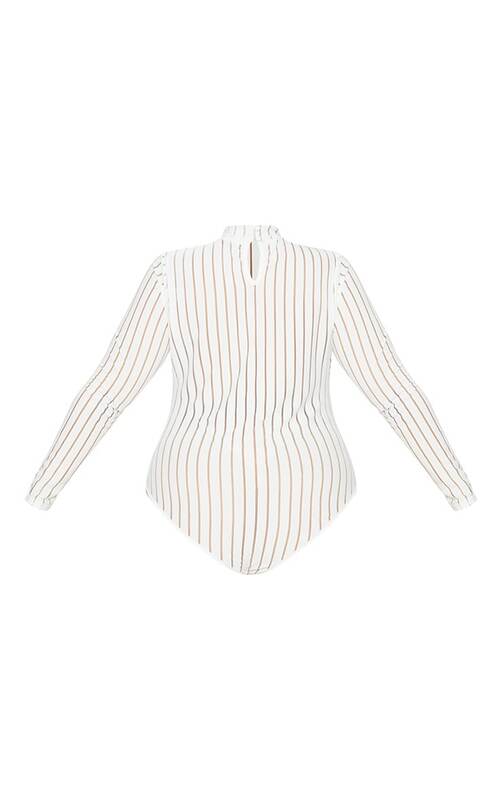 Featuring a white burn out mesh striped fabric with a high neck design, long sleeves and a popper fastening. Style this bodysuit with a midi skirt and barely-there heels for a head to toe white-out look.